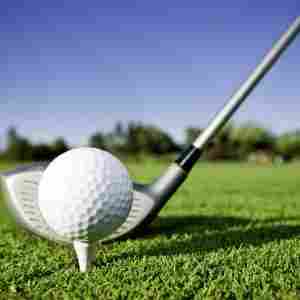 The word golf originates from the German vocabulary with the word Kolbe, meaning club or stick. The sport, however, officially appeared in Scotland at the end of the first half of the XVIII century. Learning golf is as difficult, if not more difficult, than learning to speak German. Shizen! One day I was at home and my husband invited me to join him in a round of golf, I accepted immediately because one of the greatest things that made our union become more solid was our love of sports and the pleasure of participating in outdoor activities. Arriving at the golf club I was already dazzled by what I saw, well-dressed people everywhere and landscaping that left me breathless. All those beautiful green manicured fields each blade of St. Augustine grass made me decide immediately that yes, this is the sport that I want to learn. Driving the golf cart along with my husband (whose handicap is 3.2), it was easy to fall in love with the sport seeing him hit the ball from the tee box and watching the ball fly and stop exactly in the middle of the fairway 330 yards away. However, my princess dream was over when I decide to try my first hit. Yes! It was the worst day of my life, I was shocked that something that seemed so simple could be so extremely difficult. On my first day I could not only carry the ball 100 yards I failed to even hit the ball at all! From that day I decided that I would learn to play golf so I started to go every day to the driving range with my husband (yes, you are reading right, I said every day). Then after one week, I find myself on hole number one with 17 more holes to go facing a treacherous course filled with all sorts of obstacles including water, sand, rough, trees, and wind. No, I was not on the beach this isn’t going to be relaxing as the sand and water may hint. I picked up a long club to hit my first shot because this is what I saw on the tv and tried my first swing and the ball travel a measly 10 yards. I thought to myself why did I pay upwards of 50 dollars to make myself miserable and look like a fool? 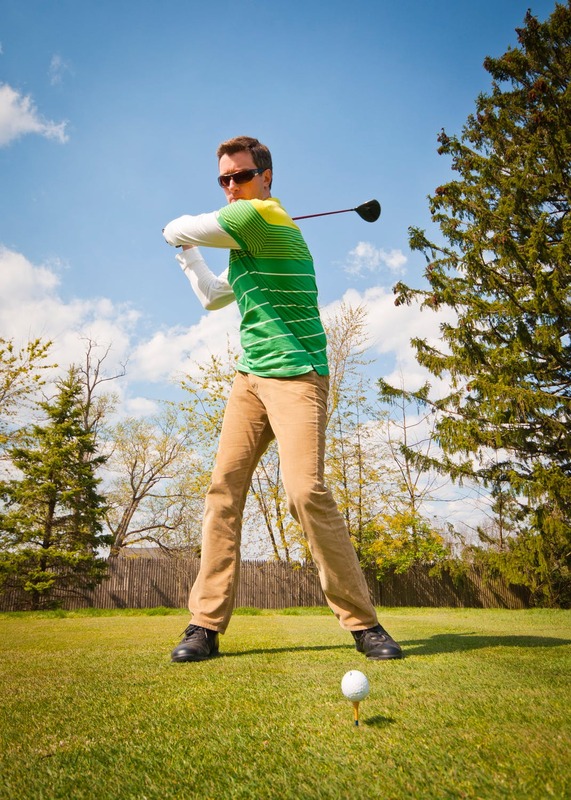 After a few tips from my husband and several hours of practice, I was able to start hitting the ball straight and over 200 yards and you can too by simply practicing and following these simple tips. The swing is everything in golf! There are a lot of different parts of the swing: the start, the backswing, the transition, the downswing, the finish and tons of tiny parts in between. As long as the club moves away from the ball until it returns to the same point, it must resemble an arc, so the backswing and the downswing must take the same course along with that arc. The angle of this arc is called the plane angle. This is determined by two factors: the club used and the height of the golfer. The club should resemble the same angle, both when it rises to the backswing, and when it descends to the downswing. The main rule for the swing is to keep the left arm in extension (for right-handers). In the middle of the backswing, the wrists should perform a torsional motion, allowing the club to be parallel to the ground. At this point, body movement should shift body weight to the right foot support. As the club comes down, the weight of the body begins to move to the left leg, while there is a slight bending of the right knee inwards. During the course of this movement, the head must remain still fixated on the ball, and even after having made contact with the ball – golfers must resist the temptation to raise their head to observe the flight of the ball. As much as you want to see it – it can actually impact the performance and distance of the golf ball. In this, the club should continue the trajectory, following with the follow-through. During the completion of the follow-through movement, the head will rise automatically, it is then that an individual can catch a glimpse of their ball in the air. Now, I know this may seem a bit technical; however, golf is. In the following tips, we are going to break down each tip to make it slightly easier. 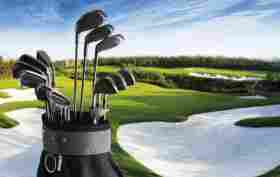 As in everything that you want to succeed in in life, golf requires practice and tons of it. Generally, this practice will happen on a driving range. It will take a few hours on the driving range to put you in the rhythm of the game. I would like to say that golf is a physical game, but it’s also a game that challenges you mentally. Knowing this truth, you can leave the frustration aside and, in every bad shot, you stop to understand what you are doing wrong and adjust the error. Reread the previous tip and check if you are doing everything right during the swing. Do not get too focused on the mistake and try to do everything you can to stay focused. 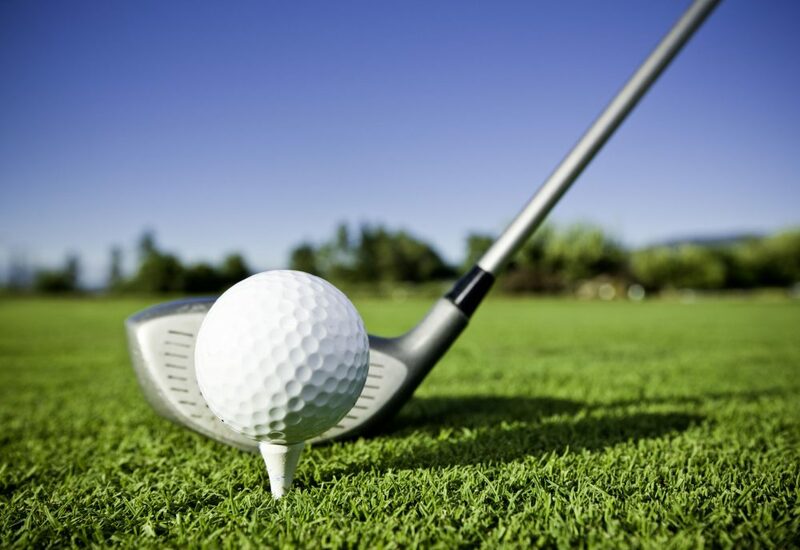 One little-known fact about golf is that the first shot on each hole is the only one you are allowed to use a tee. With that being said, each club will have an optimal tee height. For the driver, I like to use put the tee at a height where the middle of the golf ball reaches the top of my driver when I set the club to the ball. The reason behind this is that the driver has a low club face angle and to produce a proper ball flight your angle of attack should be upward. To know what precise tee heights work for you, practice at the driving range, and even on the course. As you will learn, tee height plays a critical role in one’s performance. One of the most important aspects to any golf swing is swing tempo as it helps make your swing repeatable. The typical tempo suggestion is 3 to 1, meaning that the backswing should take three times as long as the forward portion of the swing. In order to keep this swing tempo in my head, I repeat to myself “ hit the ball far´´. This is just a simple tip that works for me, that might work for you! This one sort of goes without saying, but without the right equipment even the perfect swing will not achieve an optimal outcome. As far as drivers go, you can expect to see price tags ranging from $15 to upward of $2000! The factors that affect this prices are brand, shaft, and grip. Golfers should choose a driver with a sufficient loft (angle of a face), considering that the ball should leave the face of the club with a high launch angle, with a spin that allows a maximum distance. Driver lofts range from 8 to 15 degrees for an average handicap player. The lower the head speed of the club the higher your loft should be. For example, a regular golfer with a swinging speed of the club head between 80-90 mph should play with a driver of 9-10 degrees of loft. On the other hand, senior golfers and ladies with a swing speed less than 80 mph should opt for more lofted drivers, between 12 to 15 degrees. A lot of new golfers take the Happy Gilmore approach when they first step up to hit a driver, which is swing as hard as you can and pray it goes the right direction. Now, let’s be honest, who has tried this before? This is the completely wrong approach! As soon as I walk to the tee box and put my tee along with the ball in the spot that I want, I use my driver as a laser pointer and pick my target. It’s from there that I adjust my position and prepare for tee-off. Choosing a target will help put you on the green quicker than just merely swinging and hoping for a lucky golf ghost to carry your ball in the right direction. Whether you are on the course or on the driving range remembering to not remember will help you. What I mean by this is, instead of focusing on how terrible your last drive was, focus on how great your next one will be. Knowing this and how it can actually destabilize you in the middle of the game, do not give up easily because of negative thoughts, letting go of previous driving attempts and allowing your mind clear will help you to think better about how you will hit the ball and have a better performance. Approaching each shot with a clear mind will improve your chances immensely. Many golfers have even talked about the introduction of meditation before and during a round of golf. This can help prevent any mental blockages that are hindering your performance. One of the most prolific errors made in the weekend golfers’ swing is coming over the top. This happens when a golfer uses a different plane for the downswing and backswing. This error is magnified when the club in your hand is a driver since the shaft of the driver is longer. Make sure to have your backswing and your transition on the same plane. Back in the day, old golfers were taught and trained to keep both of their feet pointed towards the golf ball. Today, it is actually quite different. 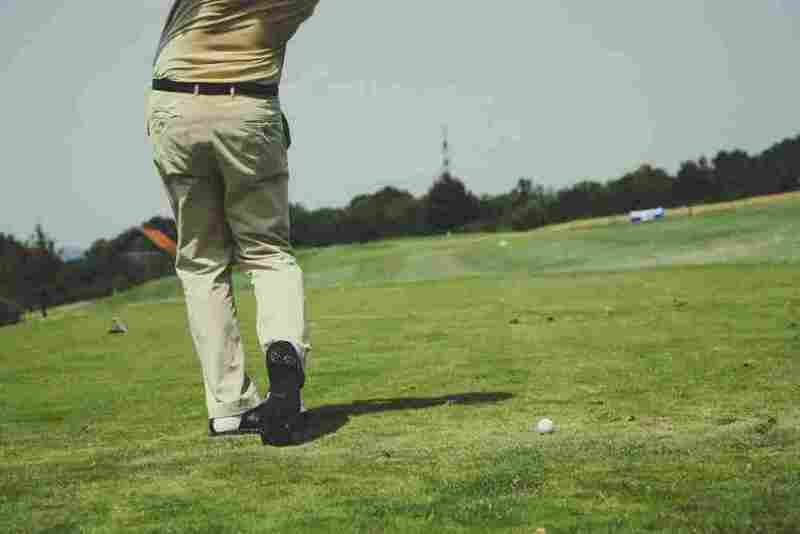 It is encouraged and more acceptable to flare your front foot as it can lead to a higher clubhead speed, which in turn, results in a better drive. Now, this simply means pointing your toes on the foot that is closest to the target outwards, away from your body. This is by far the most important tip! You can do everything perfectly and if you have off-center contact this will cause you to lose tons of distance as well as accuracy. The best way to hit the center of the club face is to slow the swing down until you are able to hit the center every time, and then slowly add speed to your swing. Golf is a difficult game but keep in mind that to achieve the desired success you need a good dose of training and everything will be fine. There is nothing more rewarding than achieving your personal goals, and when you reach a goal in golf your satisfaction is big as then difficulty of the game. The more you achieve your goals, the more you want to create and reach new goals. 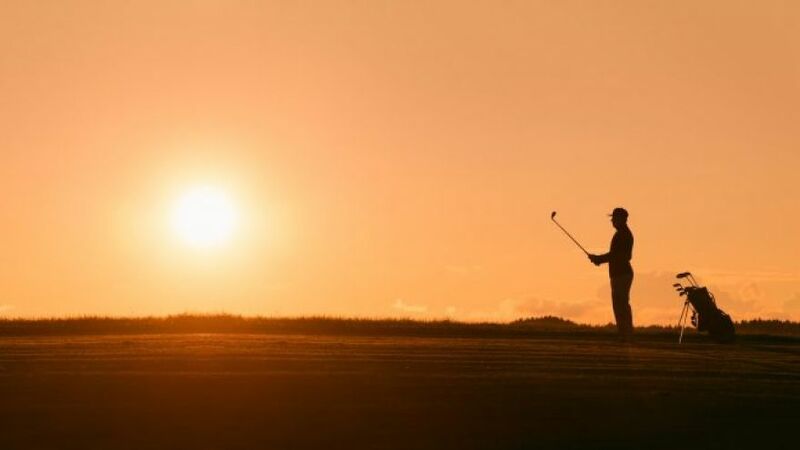 However, do not forget that the most important thing of all is to have fun and spend a beautiful day outdoors and next to your friends and the people you love, enjoying an amazing golf game.